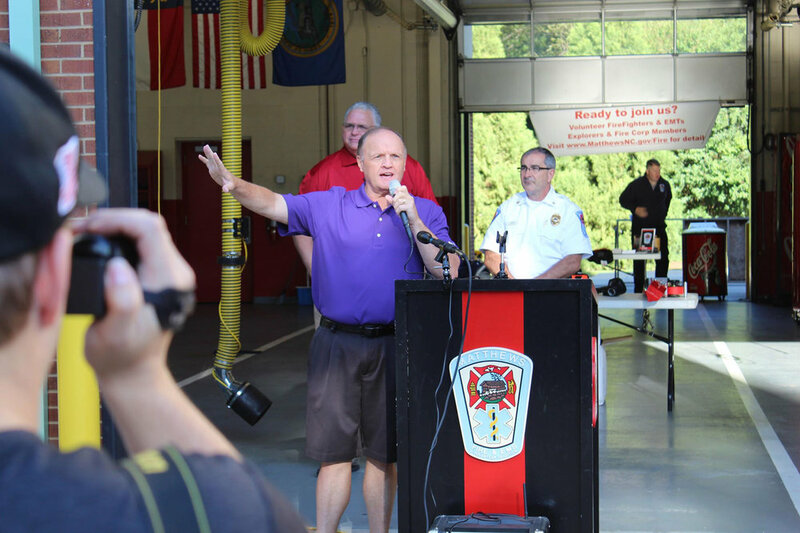 Saturday, October 13, 2018, the Mathews Fire and EMS Department held an Engine Wetdown Ceremony and recruitment open house. 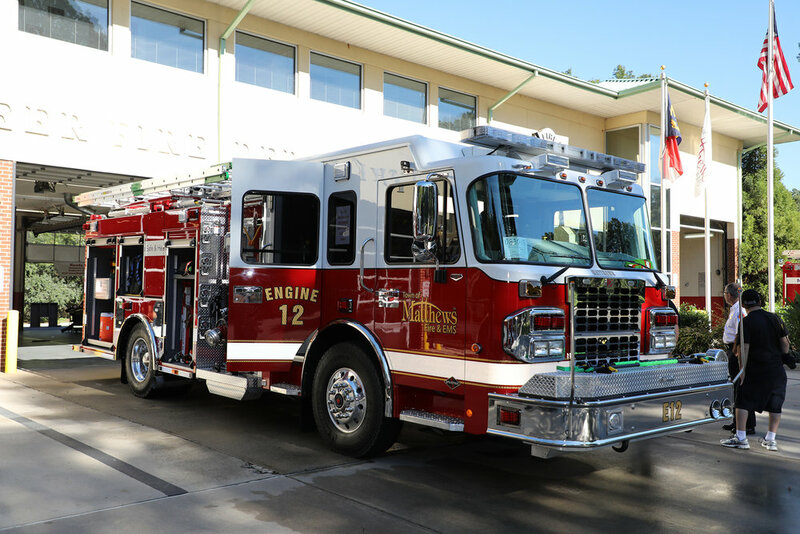 The public was invited to watch as the new Engine 12 was officially launched into service. 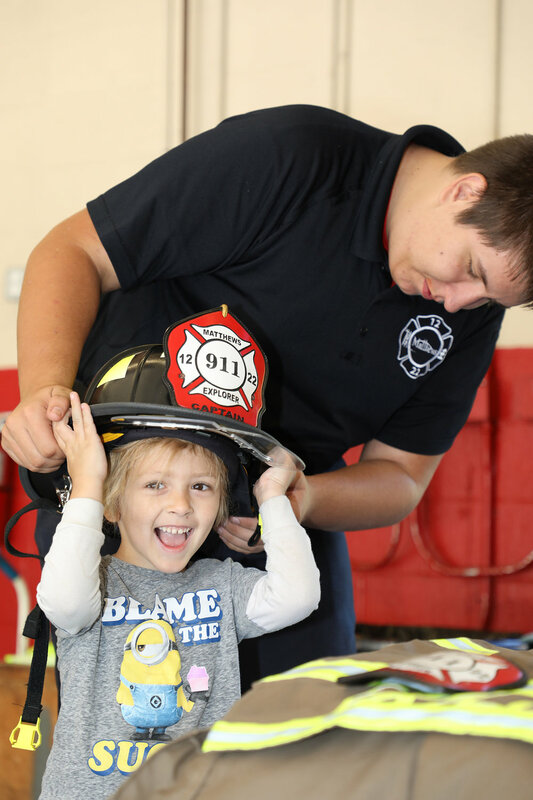 As part of the “wetdown” tradition, members of Matthews Fire & EMS Explorers used the hose from Engine 1 to soak the new Engine, then community members were invited to help dry it off before rolling the truck into its new bay. 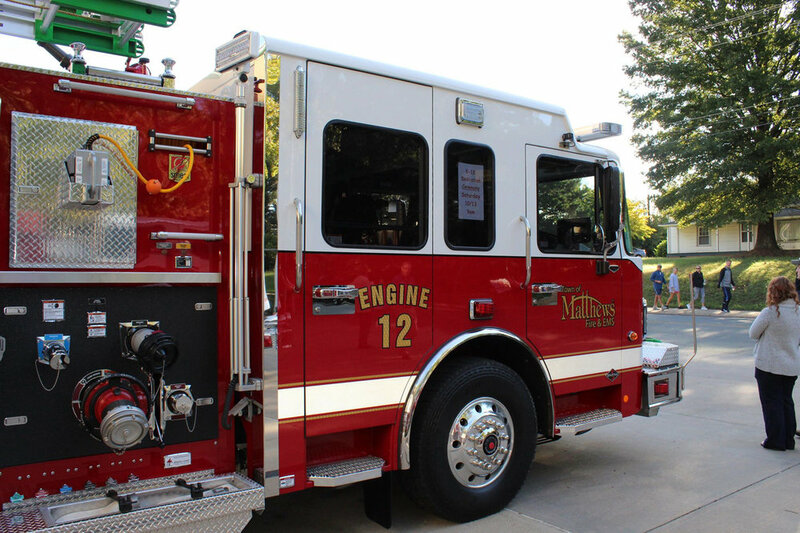 The engine was purchased and outfitted thanks to a partnership between Matthews and Novant Health. 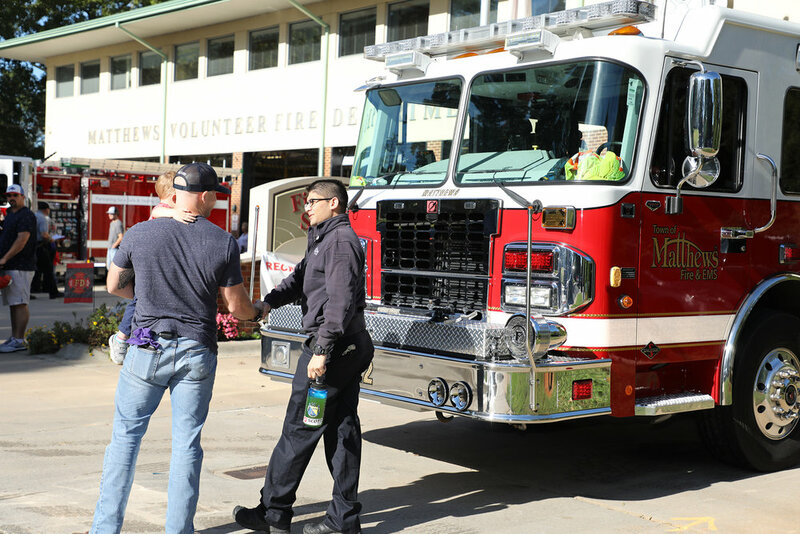 Afterward the community was welcome to explore the fire station, talk to members of the Department, and sign up as volunteers.